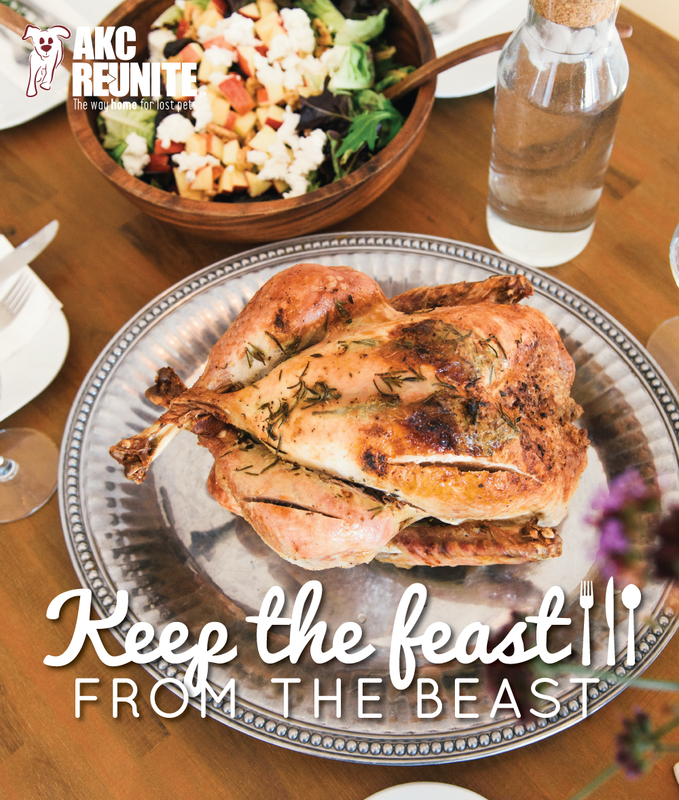 From all of us at Pet Poison Helpline and AKC Reunite, we want to wish you, your family and your furry friends a safe and Happy Turkey Day! During this time of family, friends and festivities, we also want to help prevent your pet from some potentially poisonous household dangers common during the week of Thanksgiving. 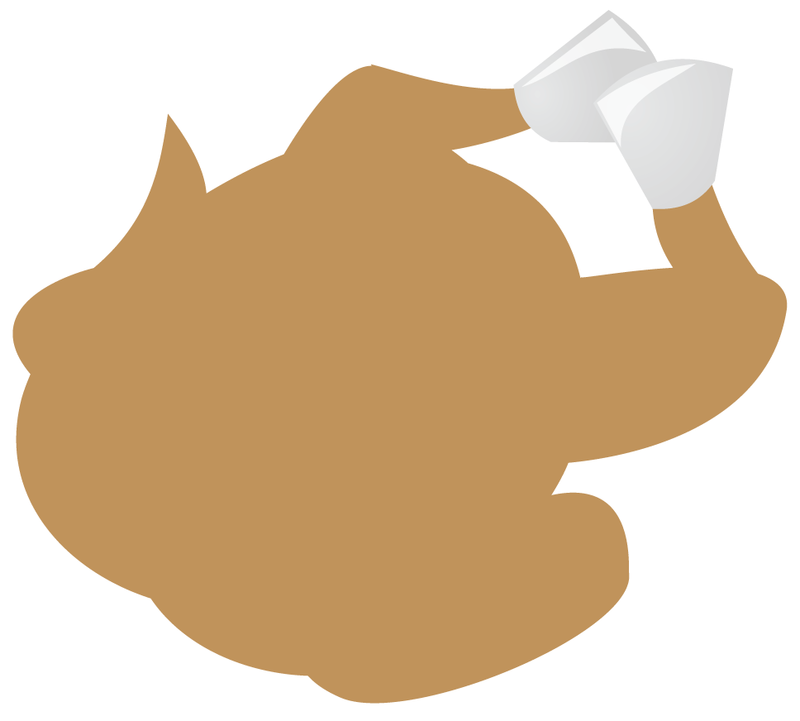 When you remove the turkey from the brine, the salt-saturated solution can be very attractive to dogs and cats, who will readily lap it up resulting in salt toxicosis. Clinical signs are excessive thirst and urination, vomiting and diarrhea. This can potentially result in serious electrolyte changes and brain swelling. Pancreatitis is an inflammation of the pancreas that can result in clinical signs of vomiting, diarrhea, loss of appetite and abdominal pain. Symptoms may not be immediate and can occur up to four days after exposure. 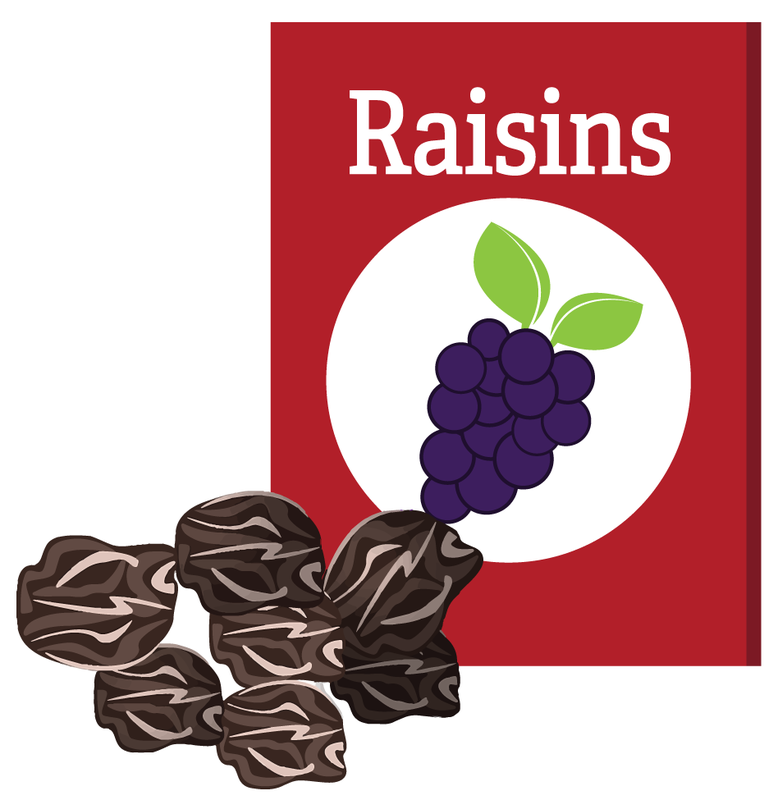 Nuts are high in fat and have the risk of pancreatitis. Macadamia nuts are more serious and ingestions can result in vomiting, diarrhea, inability to rise or walk normally (they take on a drunken appearance and can even drag their rear limbs as if injured). Disposable food remnants, like corn cobs, discarded trussing’s from the turkey and its bones can result in an obstructive risk or gastrointestinal injury that have the potential of requiring surgical removal or repair. 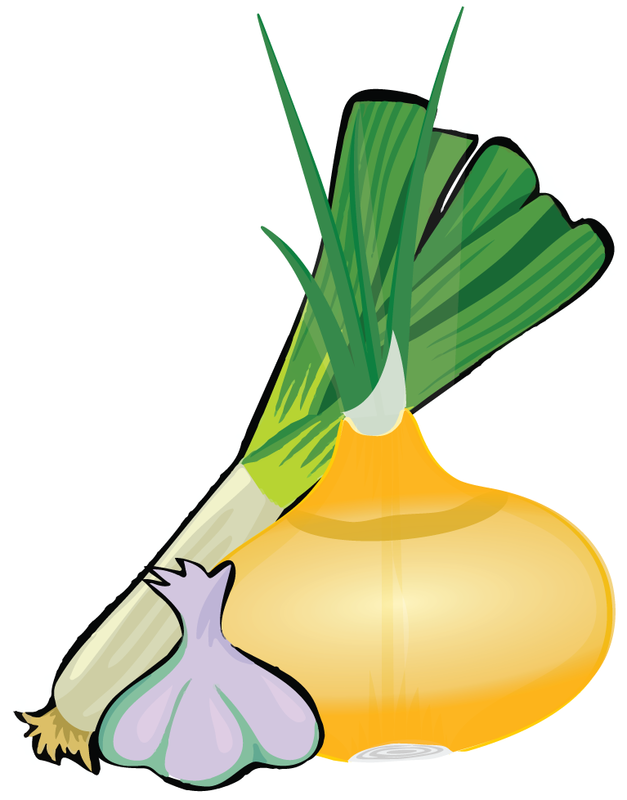 When onions and garlic are ingested in large or chronic amounts, it results in Heinz body formation and anemia. Cats and Japanese breeds of dogs (Akita, Shiba Inu, etc) are even more sensitive to the effects of these plants. Plus, cats are more sensitive than dogs to Allium toxiciosis. Clinical signs are generally secondary to the anemia, with resultant weakness, lethargy and pale mucous membranes. Avoid using onion or garlic powder chronically in pet food, and make sure your pet doesn’t ingest large amounts! Clinical signs are onion/garlic smell on breath, lethargy, pale mucus membranes (due to anemia), tachypnea (elevated respiratory rate), tachycardia (elevated heart rate), vomiting, and a reduced appetite. Rarely, hypoglycemia (low blood sugar). Salt, while commonly used for cooking in the kitchen, is quite poisonous to dogs and cats. Salt poisoning in dogs and cats results in clinical signs of vomiting, diarrhea, inappetance, lethargy, walking drunk, abnormal fluid accumulation within the body, excessive thirst or urination, potential injury to the kidneys, tremors, seizures, coma, and even death when untreated. Treatment for salt poisoning includes careful administration of IV fluids, electrolyte monitoring, treatment for dehydration and brain swelling, and supportive care. NOTE: Other sources of salt can be found throughout the household: in homemade play dough, rock salt (for de-icers), paint balls, table salt, sea water, enemas (containing sodium phosphate), etc. Candies, desserts or other foods that are sweetened with an artificial sweetener called xylitol are dangerous to pets. Xylitol can result in a rapid drop in blood sugar in dogs along with liver damage. In the past, we saw xylitol limited to the ingredient lists of sugar-free gums, mints, and dental products but xylitol is now very commonly used in sugar-free or low-sugar baked goods, vitamins and even peanut butter! Even quantities that appear to be very small have the potential to quickly become life-threatening to dogs. Always check the label! Festive decorations are a concern for many reasons. The bouquet of lilies you received from your guests can result in acute renal failure in your cat. Bittersweet flowers are many times included in fall floral arrangements and can cause gastrointestinal upset. Candles can result in burns and flameless candles contain batteries, that when ingested can result in gastrointestinal burns and corrosive injury. Pet Poison Helpline is a 24/7 animal poison control service available for pet owners and veterinary professionals who require assistance with treating a potentially poisoned pet. Pet Poison Helpline has the ability to help every poisoned pet, with all types of poisonings. 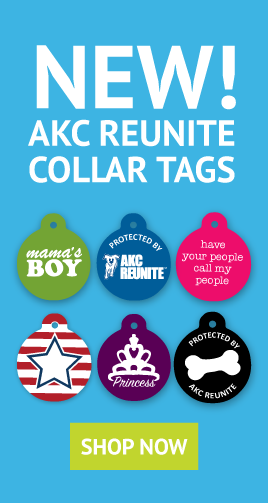 Normally $59 per incident, with AKC Reunite you can plan ahead and subscribe your pet to this life-saving service for only $15 for the lifetime of your pet. Should your pet ingest something potentially poisonous, contact AKC Reunite at 800-252-7894 and we will verify your membership and connect you to a toxicology expert to help you and your pet FAST. 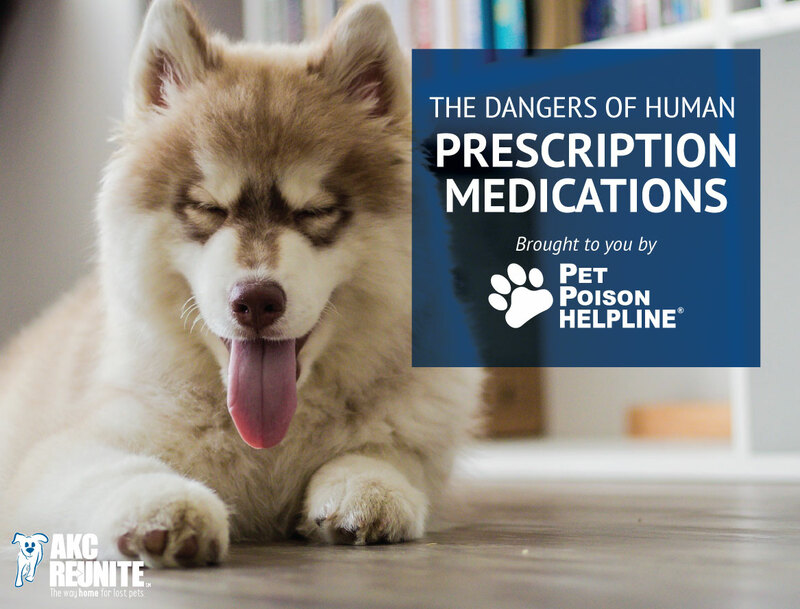 Did you know 50 % of Pet Poison Helpline calls are from pets ingesting human medications? Pets metabolize medications very differently from people. 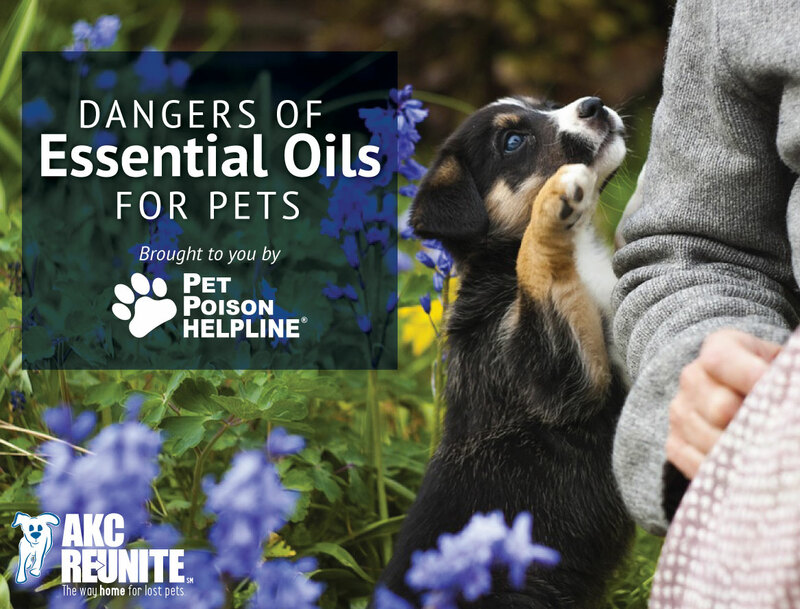 Even seemingly benign over-the-counter or herbal medications may cause serious poisoning in pets.